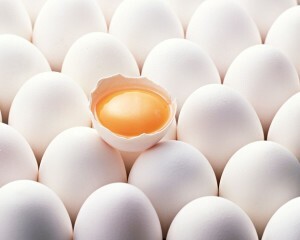 Eggs are full of protein, and eaten moderately, are good for us. Egg allergies affect different people in different ways. Some people can eat cooked or well processed eggs without having any reactions at all. It is believed that the heat alters the proteins in the egg white so it no longer has any effect. Before the age one, most children are likely to have egg allergies. Some children will out grow the allergy by the time they reach three, and some will carry the allergy through adulthood. Although rare, a person can go through childhood without being allergic to eggs until they reach adulthood. 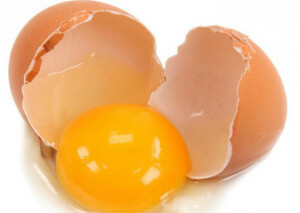 The egg white has three proteins which are believed to be the main cause of egg allergies. However, some people can be allergic to the egg yolk. Some babies are born with egg allergies because they developed sensitivity to eggs while still in the mother’s womb. It is possible for this to happen from breastfeeding. A baby can develop egg allergy if the parents wait until the baby is six months old to introduce eggs to the baby. The symptoms of egg allergy in babies, young children and adults are the same, but are very severe for babies and young children. The symptoms could appear within seconds of digestion. The symptoms for egg allergy include rash around the mouth, swelling on the face, and in and around the mouth, sneezing or wheezing, swelling of the skin, hives. Some people have egg allergy so severe that the smell of an egg cooking can trigger symptoms, or a rash could develop from touching an egg. Babies, children and adults with severe egg allergies may develop anaphylaxis. Anaphylaxis is a life threatening reaction which causes the lungs to swell and breathing becomes difficult. A drop in blood pressure and heart rate increase may occur. The best way to treat egg allergy is not to eat eggs or any products that contain them. However, if there is a risk of having an allergic reaction caused by anaphylaxis, always have adrenaline on hand. Adrenaline is a hormone that relaxes the muscles in the airway passage and allows normal breathing. It is available in prescription form as EpiPen or AnaPen. Both are sterile syringes of anaphylaxis and ready for use in case of emergency. A person with egg allergy does not need to skip the most important meal, breakfast. 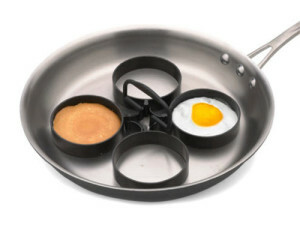 Eggs are found in other food products besides omelets. Living with egg allergy means changing some eating habits. Read food labels carefully.